Today, (26th December) Norwegian has launched the start of its New Year sale offering traveller’s savvy savings on selected flights from the UK and Ireland. Based on departures from 1st February to 31st May 2018*, holidaymakers can now book a long-haul flight from London Gatwick from £130 one-way or a transatlantic flight from Scotland, Ireland and Northern Ireland from £135/€99/£99 one-way. 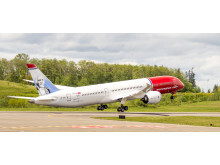 For passengers looking to head across the pond from Scotland and Northern Ireland next year, they will be able to bag a bargain flight to the U.S. east coast with Norwegian. The airlines new routes from Edinburgh and Belfast direct to Stewart International Airport (in New York state), as well as flights from Edinburgh direct to Providence Airport (offering connections to Boston and New England) and Bradley International Airport (New England) are included in the sale. 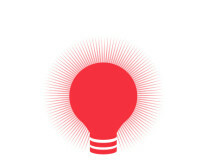 Fares are available from £99 one-way from Belfast or £135 one-way from Edinburgh. Passengers can book now at www.norwegian.com/uk/new-year-flight-deals. Savvy savers in Ireland looking to explore New York and New England can also enjoy bargain fares on Norwegian’s new transatlantic flights from Shannon, Cork and Dublin. Passengers can enjoy fares from €99 on flights from Cork, Shannon and Dublin to Providence Airport (Boston); and from Shannon and Dublin to Stewart International Airport (New York). The sale fare is available to book now at www.norwegian.com/ie/sales-new-year. These red-hot deals won’t be around for long, as the New Year sale will end on the 15th January 2018. Thomas Ramdahl, Chief Commercial Officer at Norwegian said: “We are delighted to make travel even more affordable with incredible savings to exciting global destinations from the UK and Ireland during our January sale. These fantastic offers will allow holidaymakers to take advantage of our low fares and fly in comfort on one of the youngest and greenest fleets in the industry”. 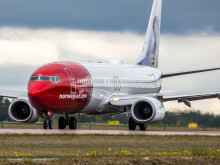 In the UK, Norwegian now carries more than 5 million UK passengers each year from five UK airports, to over 50 global destinations. The airline has one of the youngest aircraft fleets in the world with an average age of 3.6 years, and more than 200 new aircraft on order. Norwegian has been awarded the ‘World's best low-cost long-haul airline’ for three consecutive years at the SkyTrax World Airline Awards. Lowest price £130*:*One way from London-Gatwick. Subject to availability. Travel from 01/02 to 31/05/18 excl weekends, school and public holidays. Book by 15/01/18. Restrictions and baggage fees apply. *One way from Belfast. Subject to availability. Travel from 01/02 to 31/05/18 excl weekends, school and public holidays. Book by 15/01/18. Restrictions and baggage fees apply. *One way from Edinburgh. Subject to availability. Travel from 01/02 to 31/05/18 excl weekends, school and public holidays. Book by 15/01/18. Restrictions and baggage fees apply. *One way from Dublin, Shannon and Cork. Subject to availability. Travel from 15/01 to 31/05/18 excl weekends, school and public holidays. Book by 15/01/18. Restrictions and baggage fees apply.